If your car is showing any of these signs, it could be time to take your vehicle to the mechanic in for an inspection. Your vehicle parts, especially in floorboards may shake and shudder, even your whole vehicle; it may even get worse as you accelerate. This causes issues with drivability. The vibrations would be coming from beneath your vehicle. The vibration could be caused by wear on the drive shaft u-joints. When they wear out, they can cause excessive shaking. When your car was manufactured, they ensured that the entire car was finely balanced so any vibrations you may feel will indicate an issue. Vibration is usually the first symptom of a failing drive shaft. If the bushings on your driveshaft or the u-joints deteriorate or fail, it can hinder the drive shaft’s ability to rotate. When your drive shaft’s rotation is interfered with it will cause all the different sounds associated with a failing driveshaft. You may also hear a low squeaking sound that gets worse as your speed increases. This sound may disappear when you continuously travel at high speeds, but may reappear when you slow down again. This sound is a result of a severely damaged u-joint and a huge indication that it is time for an inspection of your drive shaft. Another large indication that you may need a driveline service is a u-joint that moves too much or doesn’t move at all. You can inspect your universal joints yourself by setting your parking brake and put your car into neutral. Reach underneath your vehicle and you should be able to move the yokes of the u-joint; this checks the flexibility. 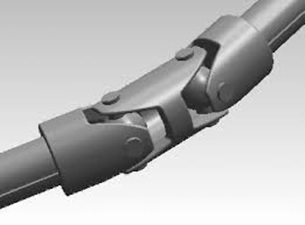 If there is excessive movement, your u-joints could be unstable which negatively impacts the drive shaft. If you see rust along the the bearing cap seals, that can also indicate a problem drive shaft. In serious cases, this could prevent your wheels from turning properly or resist when making sharp turns or u-turns. It could be especially hard to maneuver in tight spaces. Well, what is the purpose of your drive shaft? That certainly sounds important. Well, your drive shaft is a cylindrical shaft that transmits torque from the engine to the wheels. It is located between the differentials and the gearbox. 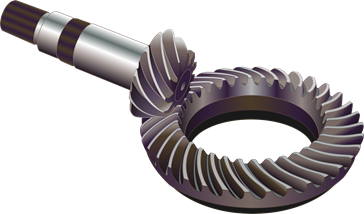 The driveshaft, when functioning properly, helps switch between idle and drive. So the drive shaft is very important, because without it, your car would never move. As with many issues, early detection helps prevent long-term costly repairs. Thank you for pointing out that shaking could be a sign that there is an issue with your drive lines. My husband has been concerned about the shaking in his car. I think he should find someone that can take a look at his drive lines and see if there are any issues. Previous PostPrevious Is Induction Service A Waste Of Money?